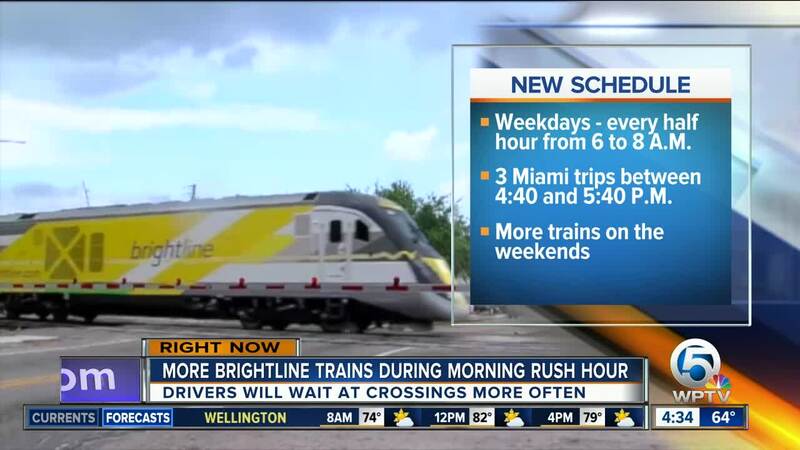 A new year means new options if you want to take a Brightline train to Miami. WEST PALM BEACH, Fla. — A new year means new options if you want to take a Brightline train to Miami. The rail service announced new departures for 2019, giving you more options to head south, but it also means drivers will wait as rail crossings more often. Brightline is also bringing back its "Buzzer Beater" service, to accommodate fans heading to Miami Heat games. That will be in place for games from Jan. 4 to March 28.